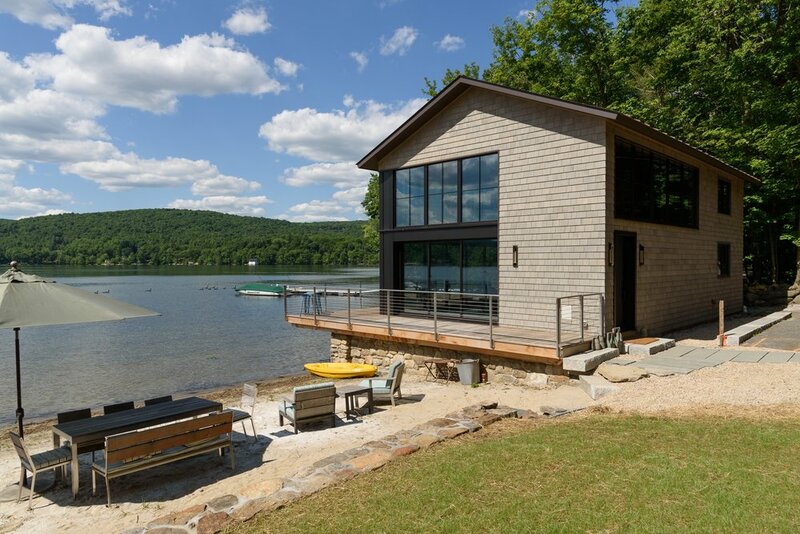 This rare boathouse overhangs the edge of beautiful Lake Waramaug, in Litchfield County, Connecticut. While using traditional wood shingles, the structure clearly embodies a modern aesthetic, using a copper roof and dark framed windows. The historic stone base was retained, while the interiors are entirely new. 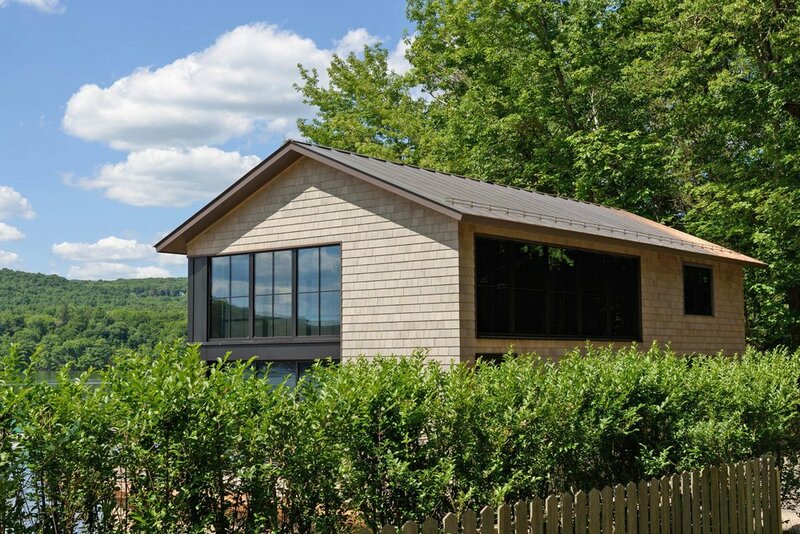 The incredibly simple and functional building form is overlaid with an asymmetrical composition of windows, framing views of the lake up to Waramaug Country Club. Richard Beard Architects worked with Daniel Frisch, architect of record.